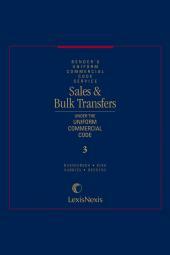 Sales and Bulk Transfers Under the U.C.C. 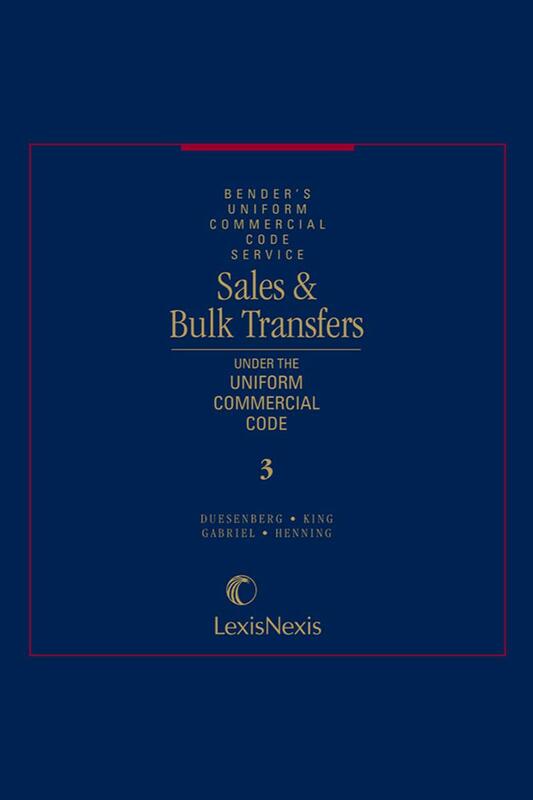 A widely respected analytical treatise providing complete coverage of sales and bulk sales transactions, including complete analysis of reported decisions in this area of the law. 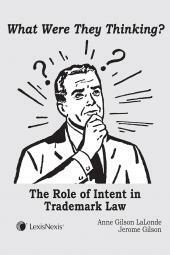 • Complete coverage of issues arising under the Uniform Commercial Code. • Alternative drafting and litigation strategies for both buyers and sellers. 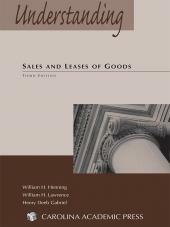 • Analysis of the changes to the law on sales transactions in light of the 2003 Amendments to Article 2. • Extensive coverage of electronic contracting including discussion and analysis of the Uniform Electronic Transactions Act (UETA) and the Electronic Signatures in Global and National Commerce Act (E-Sign). • Discussion of the overlap of Article 2 with revisions to Article 1 (General Provisions) and Article 9 (Secured Transactions). • Analysis of computer information transactions and the interplay between Article 2 and the Uniform Computer Information Transactions Act (UCITA). Henry Deeb Gabriel is the DeVan Daggett Professor of Law at Loyola University-New Orleans. Professor Gabriel is the reporter for the revisions for Article 2 and 2A of the Uniform Commercial Code as well as the chair of the revision committee to revise Article 7. As an appointed member of the National Conference of Commissioners on Uniform State Laws, he was on the drafting committee of the Uniform Electronic Transactions Act. He is an elected member of the American Law Institute and he was Chair of the American Bar Association Business Law Section Committee on Sales Law from 1992-1996. Prof. Gabriel graduated with honors from Gonzaga University and received his LL.M. from the University of Pennsylvania. He has served as lead counsel in over fifty federal appeals before the United States Supreme Court and the United States Court of Appeals, and was the Professor in Residence at the United States Department of Justice Appellate Staff in 1992. He presently serves as a delegate from the United States to the United Nations Committee on International Trade Law for the working group on electronic commerce. William H. Henning is the Executive Director of the National Conference of Commissioners on Uniform State Laws. In addition, he serves as a Professor of Law at the University of Alabama School of Law. He served as Chair of the Drafting Committee to Revise Uniform Commercial Code Article 2-Sales and also served on the Uniform Commercial Code Committee and the Committee on Scope and Program. Professor Henning graduated from the University of Tennessee College of Law and received his LL.M. from the University of Illinois College of Law. At the University of Missouri-Columbia School of Law, where he served for many years as the R.B. Price Professor of Law before taking emeritus status, Professor Henning was a three-time winner of the Distinguished Faculty Teaching Award and the first member of the law faculty to be selected for a William T. Kemper Fellowship for Teaching Excellence. 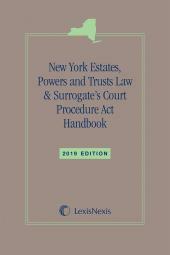 He has published widely in the field of commercial law and, as a key player in the revision of Article 9, was a co-author of Matthew Bender's Understanding Secured Transactions.